Many of you readers and participants of transCODES energy work are part of a growing number of people who are starting to come out of woodwork of inner and outer fringe dwelling. This year is your year! You will become able to realize, recontextualize and recapitalize the hidden treasures of a lifelong feeling of not belonging. You will discover the powerful talents you developed in inner isolation from collective programming, all the while they were buried underneath your shadow-coping strategies, which you can finally begin to reframe! You may still judge yourself for not ever having been able to comply with your family heritage, collective props and even mainstream spirituality, but you will find that this prepared you well. Now begins the time for you feel comfortable with yourself, your energetic perception and your inner truth – because now it’s needed – and you will also meet more people who resonate with you, and realize that you are NOT alone! There are signs of a ‘show down’, be it in our personal lives through making major life decisions later this year or through the influence of outer problems (e.g. politics, environmental and social unrest) – or both. At the same time there is also a great potential for long needed improvements, renewals and new possibilities including an overhaul of inner and outer energy management. It is in our nature to rise to our highest potential when we are forced to move out of our personal comfort zones – this year will bring plenty of that, but also a chance for exponential inner growth. The level of discomfort, which is largely tied to our ego but also our emerging overall energetic sensitivity, depends a lot of our courage, openness and willingness to let go of rigid opinions and mental beliefs. New paradigms are emerging, and everyone will play a part in it and feel the effects. Discomfort is simply a matter of perspective, which can be changed by allowing an inner shift towards consciously and fearlessly working on your ego-based emotional, mental and physical programs that prevented our success in the past. We will feel compelled to learn new ways, discover new paths and will be surprised how many possibilities are open to us. However, this doesn’t necessarily mean that we feel ready for the changes ahead. In fact, many of us may feel a bit like being forced to having to make personal changes – at the same time it will become very obvious to us, very quickly, that dissolving negative, unhealthy and toxic patterns in our lives is is a positive and healing process after all. Some of you energetically sensitives and empaths will begin to feel the need for deeper resolution, such as karmic aspects, energetic vows and contracts of the past (or even past lives); or begin to resonate with deeper aspects of your existence. Don’t be shy about raising your overall level of inner integrity and personal energy management, even if it feels lonely at times, as the collective is still dealing with its ego-mania. Some may even feel the inner prompting to shift their priorities completely, and begin to find fulfillment in being of service for others. All of these emerging inner callings will likely lead to another shift in global consciousness on the long run, but we need to be patient and steadfast! 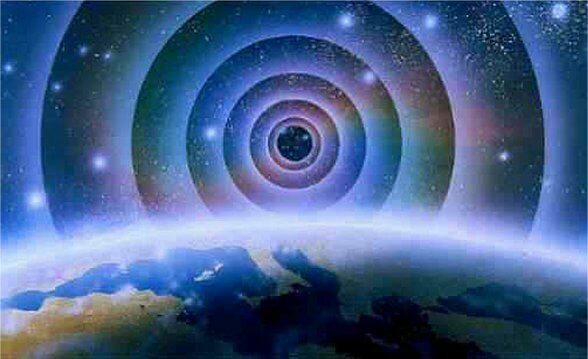 With every shift also comes the according energetic counter movement of increased visible manifestation of the global collective shadow. Those of you who are interested in actively raising your consciousness and perception regardless of whether you have a background or application in energy work, counseling, body work or life coaching for example continue to invest in yourself and your personal healing through dedicated inner work (meditation, transMISSIONS, etc.) and keep connecting with your inner guidance; it will serve you well in future – because you will be needed! Use this year to connect with communities of like minded people – who resonate with you and your deeper perspectives on life; without rules, externalization of your higher power or spiritual preoccupation. Stay true to your virtues like respect, compassion, integrity, lovingness and non-infringement – and you will be well prepared for the collective transformations of inner and outer completion! About the author: Jona Bryndis, founder and owner of transCODES. She was born in Iceland and grew up in Germany, where she received some formal education in Chemistry, Computer Science and later in International Business. She started her professional career as consultant in the emerging computer industry. She later became an instructor, coach and motivational speaker. She published articles, co-authored some magazines, had TV appearances, and worked as teacher, public speaker for a Children’s nutrition related non-profit organization and founded a holistic tutoring school in 2009. The teachings that influenced her the most are those of Richard Bandler, Stuart Wilde, Lyn Buchanan, Dr. David R. Hawkins, Khris Krepcik and Patricia St.Clair. She is a certified trainer and coach of the SaintClairs International School for Remote Healing and is working on her PhD in Metaphysics through the International University of Metaphysics in Sedona.